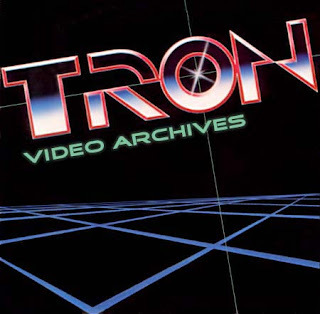 This section showcases some of the fun projects Saj has been involved in, a documentary of his early rave DJing days, some bonus extra videos he created, and the Tron section. You will have to click twice on some of the video clips to play. we have the Concert Series 2016. Here we have a video of me catching the magic as I run the soundboard for these cool indie bands! Sajtron providing music and lighting at Mondo Atomica, located at Atomic Style Lounge on Main Street Las Vegas! Space-Age Pop, Surf Music, and Exotica music all mixed up with a Striptease Burlesque show and a live Surf Music band along with a mixture of vintage lighting. Thanks to David & Jenn of Atomic Style Lounge for throwing such a great party! One of the best underground nights in Las Vegas...Techno Taco Tuesday. DJ Steve Mulder (Netherlands) on the decks on this special event and Sajtron (NightDesigners) on visuals. MGM Grand Las Vegas and Roosevelt Hotel Hollywood. In the summer of 2015 I attended my very first CommVEx show in Las Vegas Nevada. It was a great experience, loved the community, and it was great to use old Commodore computers again. Here you will see some retro hardware, software, and the full Q&A panel with Bil Herd creator of the Commodore 128 and Leonard Tramiel, son of Jack Tramiel who founded Commodore Computers. All done in a retro style that will make you feel like your back in the 80's loading up a program you just got and seeing the wonderful sights & sounds the C64 is famous for! Sajtron giving some props to CommVEx on Saturday night after the first night of the yearly Commodore convention. Shot inside the Beachers Madhouse located at MGM Grand of Las Vegas. Working on the set of Nip/Tuck creating the club scene and also having a cameo DJ appearance. A documentary of how Saj became DJ Racer X. See vintage rave footage and experience the intense Racer X themed song!! For those of you that never saw him DJ back in the days with the Racer X costume, now is your chance! It's 1993...Saj is DJ Racer X. Get ready to see this astrological beauty! Filmed on August 28, 2007 in Downtown Los Angeles on top of South Park Lofts. I made this cool video of this spectacular event...you could really feel the connection with the moon, it's pretty amazing! This video got some attention from CNN 360! Shot in Taipei, Taiwan with my friend DJ Thomas Penton headlining at Ministry Of Sound. What a party! In 2006 I worked on the episode of Monk with special guest Snoop Dogg! I'm on set....I did all the nightclub lighting for the scene. Check out this exclusive footage shot at the Ivar Nightclub! BTW, Snoop Dog was high as a muthaf***! On set with P. Diddy for his music video "Through The Pain" creating the club scene. Saj and Thomas Penton jet to Taipei, Taiwan!